Product warranties can be a terrific thing. They help protect your investment in an item by providing you with assurance that what you’ve bought is going to last for a certain period of time. However, most products that come with a warranty also come with the option to pay more money to get that warranty extended. It is often not worth it to fork over the funds for that extra protection. The only people those warranties benefit are the people lining their pockets with profits from you buying the warranty. Think of extended warranties as a type of insurance; you should always look carefully at the pros and cons of insurance before investing in it! 1. Appliances. Did you know that retailers actually make more money percentagewise on your purchase of the warranty than on your purchase of the item itself? Consumer Reports shares the secret that appliance retailers may make a profit of up to 50% on a warranty, whereas they only make about 10% on your appliance purchase. They also warn that the extended warranty for appliances is almost never worth it despite the fact that about 20% of consumers pay to get it. Why isn’t it worth it? Appliances rarely break down within the time period covered by the extended warranty, and in the rare case that they do break, the average cost of the repair is comparable to the cost you might have paid for the warranty. You’re paying money for peace of mind, but not actually saving any money even if you do have to use the warranty. Moreover, extended warranties on appliances typically don’t cover problems related to wear and tear, so your appliance breakdown may not even be covered at all. 2. CRT Televisions. There are very few people even in the market for these television sets today, but if you happen to be one of them, then don’t bother getting the extended warranty. A warranty for this type of TV often costs a lot in comparison to the price of the TV itself, and yet these TVs actually are less likely to break down than other more modern sets. This makes the extended warranty not only pointless — but pricey! 3. New Cars. It is debatable as to whether or not an extended warranty is worth the cost for a used vehicle, since such vehicles are likely to require unanticipated repairs. However, the situation is a lot clearer when it comes to new cars – the extended warranty is almost never worth it. Edmunds explains that this is especially true if you are not planning to keep the car for long after the manufacturer’s normal warranty ends. The deal with extended warranties for automobiles is that they come with a lot of fine print, potentially high deductibles, and may not be necessary since the car is unlikely to need major repairs during the covered period. 4. Computers, especially low-end computers. One of the main things that you want to look at when considering whether or not you’re going to get your money’s worth from an extended warranty plan is the cost of the plan compared to the cost of repairing or replacing the item should it break. If you’re getting a low-end computer that doesn’t cost a lot to begin with, then you will most likely find that the replacement cost is equal to or lower than the cost of the warranty itself. 5. Smartphones. Extended warranties on smartphones are a bad choice for the same reason that it’s a bad idea to get an extended warranty on a computer. Additionally, most people choose to replace their phones rather quickly, because the technology on these devices changes so often. If you are not going to want the phone a year from now, anyway, then why would you pay to get an extended warranty for it? Do you have a story about extended warranties to share? The comments section below is waiting for your tale! I had a bad experience with extended warranties from a Canadian furniture store and how they tried every trick in the book to try to pressure me into buying a $250 extended warranty on the TV I was buying (along with some living room furniture). The high pressure tactics included bringing the manager over to try once again to talk me into the purchase, and then follow up calls from the company telling me it wasn’t too late to buy the warranty (no thanks!). Consumer Reports has a good chart for electronics and appliances and how often they have deficiencies. TV’s were listed number 1 for “least frequent” need for repair. I agree with your list, although laptops were ranked fairly high for needing repair. My rule of thumb: If I can afford to replace it (even if its painful), I’ll never buy insurance for it. Insurance is an expensive form of risk-mitigation; there’s no reason to buy it other than to avoid the worst-case scenario. Where can you even get a CRT tv these days? Paula said: Insurance is an expensive form of risk-mitigation; there’s no reason to buy it other than to avoid the worst-case scenario. There’s two reasons to buy insurance. The financial reason is as you described. If you can afford to replace it, no need to risk share. If you can’t, risk share. The second reason is emotion. Buying an extended warranty can be like winning the jackpot. Your toaster dies two days before the end of the warranty period, and jackpot! I’m no fan of emotional insurance purchases, but I did buy an extended warranty on a used car many years ago. I paid $100 or something to shift the balance of the extended warranty in my name, one of those stupid ‘only covers you if the engine blows’ warranties. And the car only had 10K kilometers until the warranty ended. But sure enough, this being a Dodge Caravan from the 80’s, the heads and everything went kablooey 2K before the warranty expired. Whole new top end on the engine for $100! Total feel-good score! :). While I decline extended warranties (though sometimes I’m unable to resist pointed jabs about the quality of the product they must be selling me), I will take warranty into consideration during purchase. I’ve got the Sears guys here right now putting in a new furnace. Furnace sales are huge high pressure sales deals. We ended up at Sears because they gave us lifetime parts and warranty, whereas others only gave lifetime on parts. And since I just got somewhat burned on our last furnace, the importance of a lifetime warranty on labour has increased importance. It’s emotional 🙂 but there’s a science behind it called ‘utility theory’. There are 2 things that we have gotten the extended on recently that have paid off: my Apple laptop (hard drive crashed 2 years and 9 mo. into the 3 year warranty,) and for our 52 in flat screen tv. (2 years into the 3 year warranty we all of a sudden had a blue line right through the middle.) Both things were repaired/replaced with no questions and very little hassle, less a couple of phone calls and a couple of trips to the store. Since both items are such high dollar items we couldn’t be more pleased that we spent the extra few hundred dollars to be protected. I believe that reasearch and risk go hand in hand. Do the math and decide. Laptops break alot! and they are not too cheap to fix most of the time. If the store you deal with offers a performance guarantee not just defect like a manufacturer and their price is resonable, I would say go for it. As for ConsumersReport and their “CHECK YOUR CREDIT CARD” for double the warranty, This is horses**t !!!!!!!! have you ever read the agreement on these cards?!! sure for small items like dvd players their great! but get something pricey and see. YOU MUST get 3 quotes for the repair, which means 3 DIAGNOSTIC BILLS YOU MUST PAY, along with the time spent waiting for those. THEN the CREDIT CARD company will send you to the CHEAPEST quote place and only refund their Diagnostic charge not the other 2 places. NOW your out 3 times as long and out $80-$200 in diagnostic fees not covered by the credit card warranty. PLEASE stop pretending that these are good warranties just so you can look nice to your readership. Give them ALL the info from ALL sides! I have to strongly agree with much of this article. My uncle was a appliance salesman, so I would like to think he purchased appliances of good auality. However, most of them didn’t last too long at all. My parents have had similar luck. Extended warranties would have been beneficial and seved a lot of money. Computers and smartphones, I would almost always recommend an extended warranty. I’m not sure where you purchase your electronics, but where I shop, if you buy a low end computer, the extended warranty is quite cheap. It is also very common to get upgrades for your computer when you have t repaired, because the old parts are dated and unavaliable. They may also just replace the computer with a newer, better model. The same thing can be said about smartphones. Thanks alot for nothing. You absolutely followed the wrong route in advising people not to purchase warranties. How much “research” exactly did you bother to do? Come out of the dark ages lady. I’ve been in the appliances industry for years – names that used to convey quality mean nothing today. Disposable goods with very few exceptions. Realistic = 5 to 7 yrs expected life of a new appliance, they simply do not make them like they used to & electronics is what most goes wrong. Good luck getting away from them!! A dishwasher control panel costs approx. $380+tax. A reputable service person costs approx. $55 to 75/hour & they always 1st come to “diagnose” & return again to actually fix. Why get an extended warranty? To avoid being forced to come right back into the market again once realize how service/parts can get truly excessive. Properly cover your purchase following the end of that 1 yr manufacturer’s warranty for at least the expected life of the product, again – 5 to 7 years! Cost of a decent middle of the road dishwasher = @ $559. An extended warranty to cover that purchase for a further 4 years = $130 (when you find yourself getting the same thing fixed 3x over that period don’t worry – you’ll get a brand new dishwasher – NO LEMON guarantee. Cost of parts & service = @ $399-599. Disposable! Why fix them? Thanks for the misinformation! Get with the times! Completely agree with Candace. Products aren’t built to last but you can get more life out of them by buying an extended warranty. 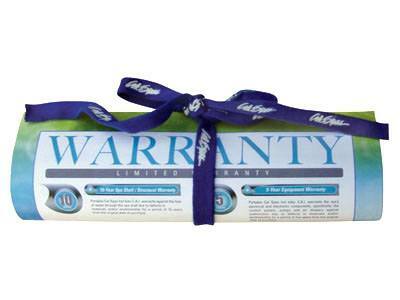 Just be sure you aren’t purchasing warranties for products which already have a good, long manufacturers warranty.